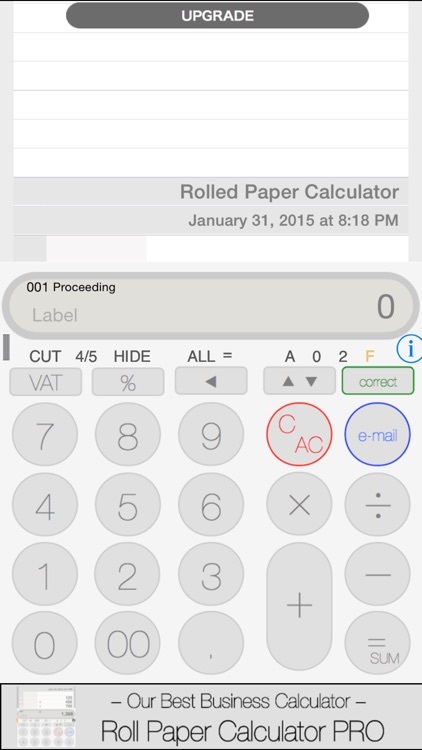 Rolled Paper Calculator won the awards every year. 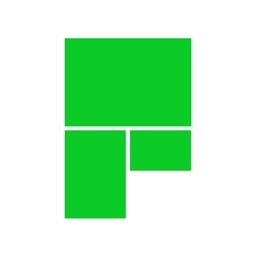 Now It has Flat design. 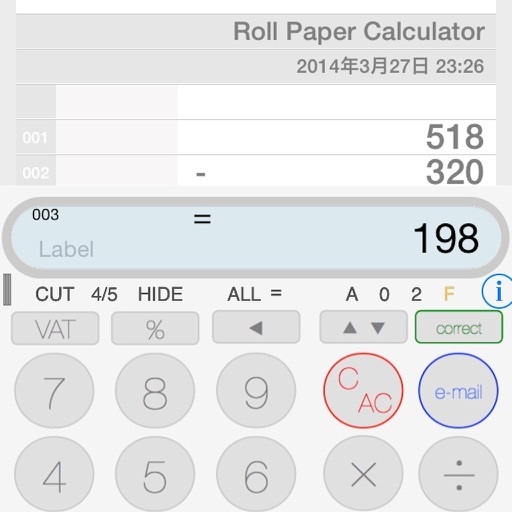 THIS CALCULATOR make the REVOLUTIONARY EXPERIENCE to REPLACE traditional "M+" to "THE NEW PAPER". 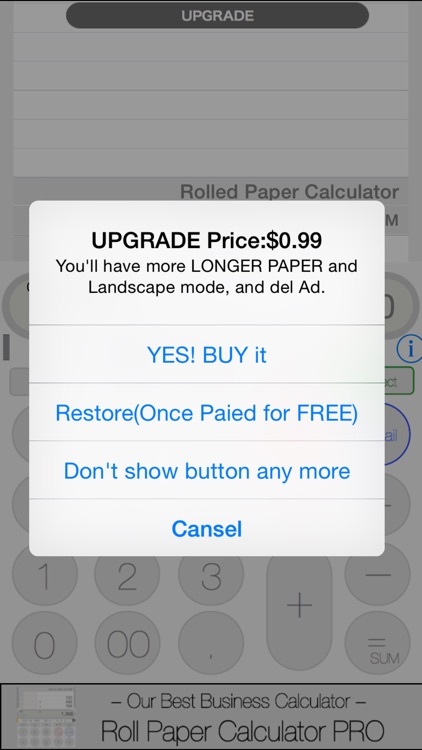 In this version, the price change to FREE, and we prepare the LONG PAPER option for 4inch users(Paid). More information, see the SCREENSHOT. Nice little calculator that fits the bill - I needed a calculator with a paper tape, and of those I tried this was the best. It is simple and straightforward. 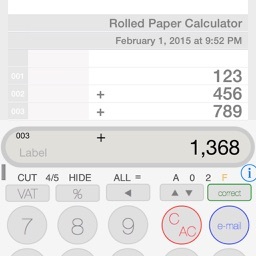 It allows me to scroll the tape and to touch earlier entries to enter those into the current calculator. I can even send the resulting tape to an email address. Very nice. 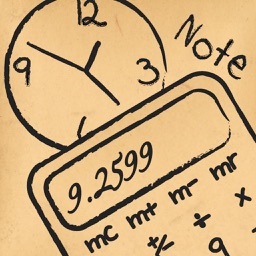 I really needed this app as I am a bookkeeper and always needing to calculate numbers. Love the fact that I can email the tape to myself. Is it able to tear/cut the tape and start a new tape? => YES, Please push C/AC button over 0.5sec. 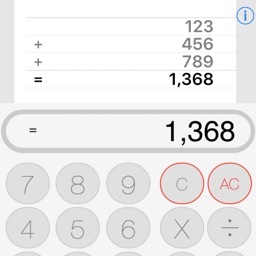 THIS CALCULATOR is E-MAIL ENABLED as COMMUNICATION CALCULATOR. TRY NEW GENERATION CALCULATOR EXPERIENCE. 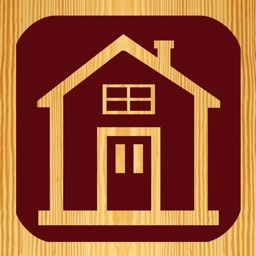 ... by Jezebel Sound - Great app, I love it. ... by GEORGE MIHAIL Very nice, but something is missing. - Very nice application. But what about being able to set yourself, the number of decimal points, that you do need ? => Thank you your very nice comment. 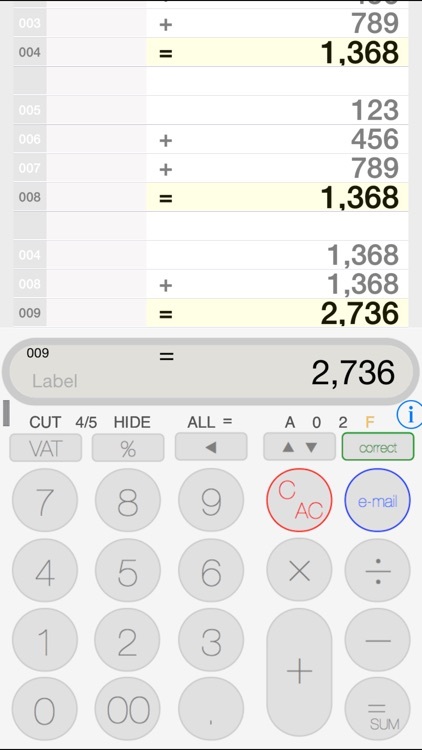 I can recognize the needs for decimal point switch on real calculator. I add this function. ....by Jesper Christiansen Now working again, thanks - Miss some instructions in what A CUT 4/5 0 2 etc. means and are meant to be used. => Thank you for bug fix report. And I add description to use currency mode, A CUT 4/5 0 2. Regard. A .... for 1/100 currency, auto 1/100 input and mode "2"
0 .... CUT, 4/5, HIDE under decimal point. 2 .... CUT, 4/5, HIDE under 2nd decimal. F .... Fee decimal, not currency mode. 4/5 .... on below 4, cut the number, on upper 5 up. 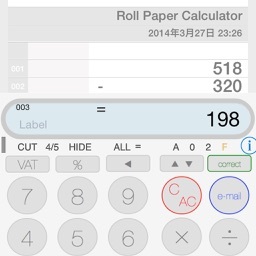 HIDE .. only hide under 0 or 2nd, but calc mode is "F"
THE PAPER displays input data and the result , like on the a paper. When you slide down the paper, if you can see the input data and results even if it goes out of screen. When you select any data on the paper , it make the data to input data. When you push arrow key, you can jump up on the paper, and when you up to top, next you goes down on the paper. When you push arrow key at long time, you can move on paper to top or bottom of the paper. When you push E-mial button , you can send the immediate data, and when you push button long time, you can send all of data on the paper. 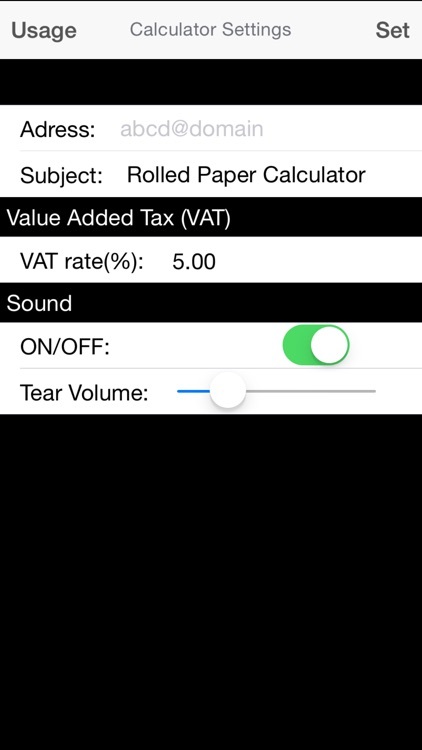 you can set the data of address , subject , volume of sound and VAT rate (Default 5%). 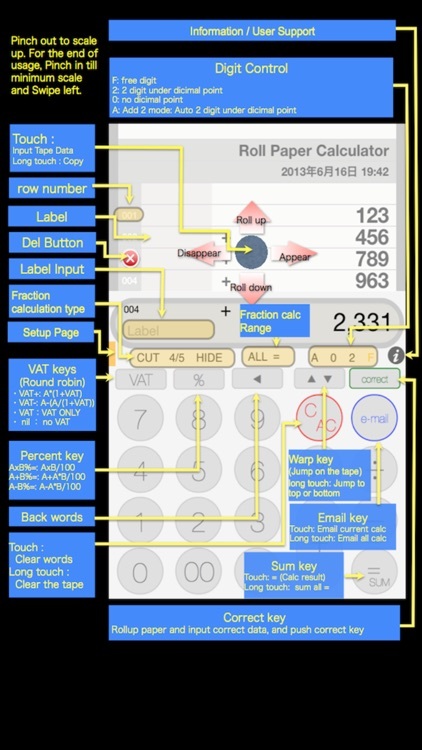 Usage7: you can remove the row, by right swiping and push delete button. Usage8: To go to setup view, please push orange button one seconds. if you want to end usage view , please swipe to left side.